The Formentera Council's environment department reports that the administration is commissioning a marketplace consultation ahead of the upcoming tender of contracts for urban solid waste and organic matter collection and transport, roadway cleaning and landscaped area and beach maintenance. The current contract ends February 28, 2020. 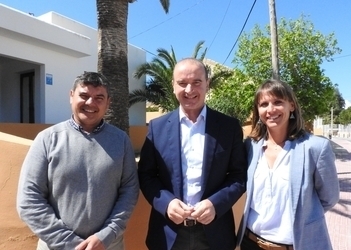 “The test will be conducted before the service goes to tender so we can make sure we're getting the best technical solutions for Formentera's particular situation”, said CiF environment chief Daisee Aguilera. The move, said the councillor, is about “ensuring we pick the service provider who can offer us the most”, which is why the administration is teeing up a series of questions for firms that specialise in the domain. Companies that submit proposals for collection systems will have to meet the recycling goals outlined in the island's waste directive, not to mention make accommodations for the local land strategy—the Pla Territorial Insular—over the eight years (renewable for another two) the contact is valid. Proposals must also be attuned to regional legislation on contaminated wastes and soils, and bidders will have to present financially viable proposals that include environmentally sound machinery and vehicles which align with Formentera's sustainable mobility strategy. Interested firms have until April 29 to submit their bids. Highlighting the fragility of the island and the importance of preservation, councillor Aguilera said priority would be given to sustainability and firms that factor for Formentera's limited water resources by using reclaimed water and take appropriate precautions to protect resources like Posidonia oceanica in their beach cleanup plans. 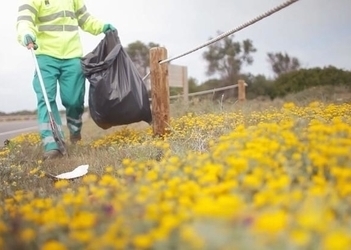 The Formentera Council's environment department announces that crews will begin dispatching garden clippings rich in bio-matter to fields across the island. Three thousand cubic metres of green scraps already put through the chipper at the es Cap de Barbaria waste treatment plant are awaiting delivery. “By taking the reins of management of our waste we can avoid sending it off site”, explained environment chief Daisee Aguilera. “We can turn it into an asset for the local ecosystem and agriculture”, part of a strategy for healthy fields which the councillor referred to as “closing the loop” in terms of managing organic waste. Gardeners' trimmings bolster the land's water retention, reduces evaporation, and “more than anything is a great way to trap all the moisture from recent rains in the soil”, Aguilera pointed out. The material is also effective for mulching, a technique consisting in covering the base of plants in order, among other benefits, to trap in moisture and prevent weeds. Islanders interested in obtaining garden clippings for their land have only to pay for transport. The three firms assisting in transport—Foreva, Formentera Trucks and Construcciones Isla de Formentera—will take advantage of return journeys on trips to the treatment plant to haul away loads and dispatch them across the island. Beneficiaries of the service will pay based on the amount of clippings they wish to receive—€15 for 5m3, €20 for 8m3, €25 for 14m3 and €35 for 20m3. Islanders should contact the environment office (àrea de Medi Ambient, 971 32 12 10) or one of the freight companies directly. The effort will help free up the Es Cap de Barbaria staging area for other uses, such as a compost pile with material collected from the island's medium-sized and large generators. The resulting compost will also be destined for local farmers' fields, enabling even more materials to be cycled back into the ecosystem. Gardening scraps were chipped with a “biochipper” purchased by the Formentera Council with help from the EU's Leader fund. 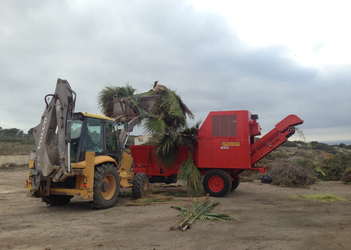 The administration owns two smaller chippers which it loans to islanders free of charge so they can shred green trimmings generated at home. The service can be requested at the Citizen Information Office (OAC) or by contacting the environment office. At the behest of the Estany des Peix sport fishermen's club, CiF chairman Jaume Ferrer, deputy chair and rural affairs councillor Bartomeu Escandell, and environment councillor Daisee Aguilera hosted an information session today to talk to islanders about the proposed project to regulate watercraft anchored at estany des Peix. Ferrer said regulation was about improving the situation of the lake—a landmark celebrated for stunning vistas—and maintaining its use as a traditional fishing site and refuge for small boats. According to Aguilera, the Council has already prepared a draft project for installation of floating pontoons and environmentally-friendly mooring points which accommodate a maximum of watercraft in those places ecological and heritage statutes allow for them. The draft project was sent to the Govern's environment ministry, which enlarged upon it, conducted related environmental studies, capped the official capacity at 285 boats and forwarded the document to the coastal authority (Demarcació de Costes, or simply “Costes”) for review and approval. Under a deal struck yesterday at the signing of a partnership between Formentera and the regional environment ministry, the Council will be responsible for managing the new equipment and regulating how it is used. Ferrer said that the most pressing concern—how to pay for and manage the equipment—was at the origin of a bid to tap the “Sustainable Tourism Levy” for €652,154 in funding. Escandell confirmed it: “We've got the partnership deal, the project plan and the funding. All we're waiting on is the go-ahead from Costes, and we'll be through with the first phase. We're looking ahead to phase two now, which will be a communal effort here on Formentera to create a regulatory backbone and submit it to Consell d'Entitats for approval”. Some one hundred turned up for the meeting. The first question dealt with commercial activity at the lake, a possibility the CiF chair dismissed, explaining that “estany des Peix statutes prohibit it and this particular project doesn't allow for it”. According to Ferrer the Balearic port authority (APB) has been contacted with a request that arrangements be made for certain for-profit activities in the port, but not in the lake”. Other questions turned on the cost for individual islanders, the kinds of boats that will be permitted to anchor and preferential seniority...and all received a similar response from Escandell. “The time to figure out the details and come up with a directive for the scheme starts now”, he said. “We'll be building this thing from the ground up, and doing it all together”. Faced with questions regarding dry-dock ramps and parking, the CiF chair said such issues required their own respective projects, which, in turn, would need the approval of Costes. “More projects will emerge on the fly based on the needs of islanders who use the lake”, he stressed. “For now, regulating watercraft mooring will be centred on the permits to install environmentally-friendly buoys and pontoons”. 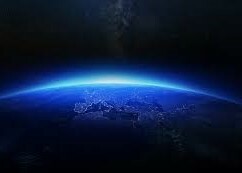 Having signed on to Earth Hour 2019, the Formentera Council will turn of the lamps illuminating the Sant Francesc church tomorrow, Saturday March 30 between 8.30pm and 9.30pm, as a symbolic gesture to promote energy-saving efforts. CiF environment councillor Daisee Aguilera said that, along with the administration's adhesion to the event, the Council has committed to “educating islanders about the multiplicity of earth-friendly measures at their disposal, like conserving energy, reducing single-use plastics and opting for more sustainable modes of transport”. “They're small steps”, she said. “When all of us do them, though, they become huge”. CiF chairman Jaume Ferrer and Balearic minister of environment, agriculture and fishing Vicenç Vidal signed a deal to work together on the creation and management of floating docks and environmentally-friendly moorage points at Estany des Peix. Chairman Ferrer called the day historic. “This deal puts us in a position to regulate how boats can anchor at one of Formentera's signature sites”, he said, “and means we can finally heed a long-standing appeal of islanders, and restore the pond's environmental balance with more traditional uses of Estany des Peix”. For his part, Vidal said the deal “hands over the reins to the branch of government that's closest to the people”. Under the deal the Formentera Council will oversee watercraft mooring at Estany des Peix once the Palma administration completes a related plan and secures approval of it by the coastal authority. The Council, responsible for granting moorage points, will be on the hook for creating and proposing use guidelines as well, the idea being to define the terms for watercraft owners to ensure the site's “environmental and traditional values” are safeguarded. As for the administration in Palma, the Govern will oversee science-based study and tracking of the programme's impact on the Estany des Peix ecosystem, including flora and fauna. It will also take charge of implementing strategies, together with the Formentera Council, to recover and conserve pond habitats. In October 2018, decision makers voted to enact the project with €652,154 from the “Sustainable Tourism Levy” (Impost de Turisme Sostenible).